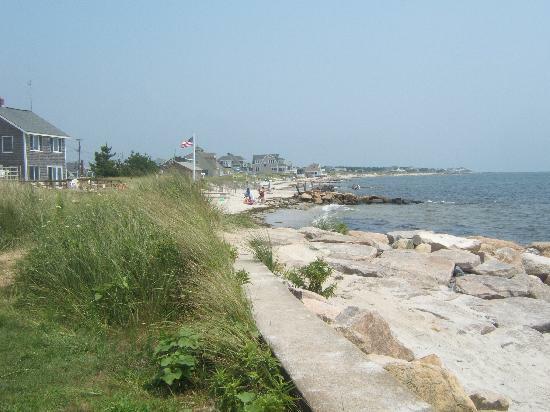 The Beach House Inn is located on one of the finest beaches in all of Cape Cod. The Beach House Inn faces South, overlooking the warm waters of Nantucket Sound. With private beaches stretching a mile in either direction, you are assured of a quiet, tranquil setting, even at the height of the summer season. The Beach House Inn has just seven guest rooms, each with its own private bathroom, color TV, and private deck. 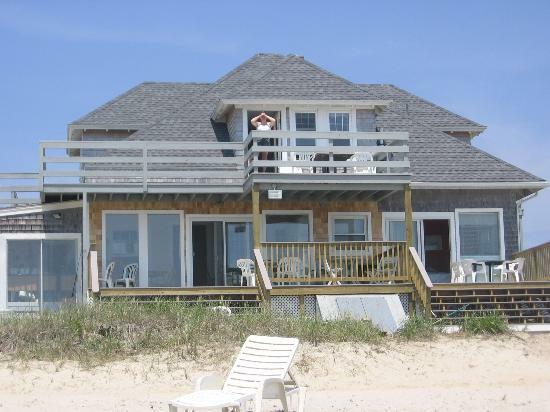 Guests have full use of the living room, oceanfront dining room, and fully equipped kitchen. With truly magnificent ocean views and a salt water pond behind the accommodations, this is oceanfront Cape Cod lodging at its best. Cape Cod has so much to offer, the hardest part will be deciding what to do! What's great about the Beach House Inn is it's location: not only its beachfront, but also the fact that it is located almost directly in the middle of Cape Cod, making travel to any part of the peninsula an easy day's trip. The best activity at the BHI is no activity at all! Simply lay down on the beach and enjoy the sun, the ocean, the breeze, the salt air. West Dennis is referred to as "the heart of Cape Cod" because of its central location - 20 minutes to both Chatham and Hyannis, 1 hour to both Provinceton and Falmouth! Find your dream vacation home at Beach House Inn on Cape Cod.